Auto dealers say Ontario’s payments under the Electric Vehicle Incentive Plan (EVIP) have slowed to a trickle, with an average wait time of six months or more. Some dealers are awaiting amounts of more than $500,000. Automotive News Canada first reported in September that dealers were growing frustrated at the wait times, but it seems to be getting worse, not better. More dealers have since come forward to tell their stories. “They owe me in just my BMW store and my General Motors store, about $780,000,” Chris Budd told Automotive News Canada. Budd is the owner of Budds’ Group of companies, which operates nine dealerships in Oakville and Hamilton, Ont. “Just the GM dealers alone in the Greater Toronto Area — not all of Ontario, just the GTA — I believe they owe them $2.3 million and counting. Wait times for rebates on EV sales in Ontario initially averaged two to three months, dealers say. Provincial officials say they fell behind as the volume of rebates grew, but have drawn up a plan to improve payment times. “We don’t think auto dealers should be on the hook to pay for Liberal subsidies,” he said during question period. He demanded to know when dealers would see their money. Minister of Transportation Steven Del Duca didn’t answer directly. Instead, he accused the PCs of not supporting green initiatives. “What we’ve seen is actually a dramatic increase” in EV sales among what he called middle income families, Del Duca said in response. Meanwhile, dealers have substantial unpaid balances. Robin Pawlak, controller at Barry Cullen Chevrolet-Cadillac in Guelph, said the dealership has received only three payments from EVIP since the end of August and was owed $644,000 as of early November. “On October 10th, they paid a March 31st EVIP credit,” she said. “On October 25th, they paid an April 29th [credit]; on November 1st, they paid a May 10th [credit]. But I still have two that were submitted at the beginning of April that have not been paid. 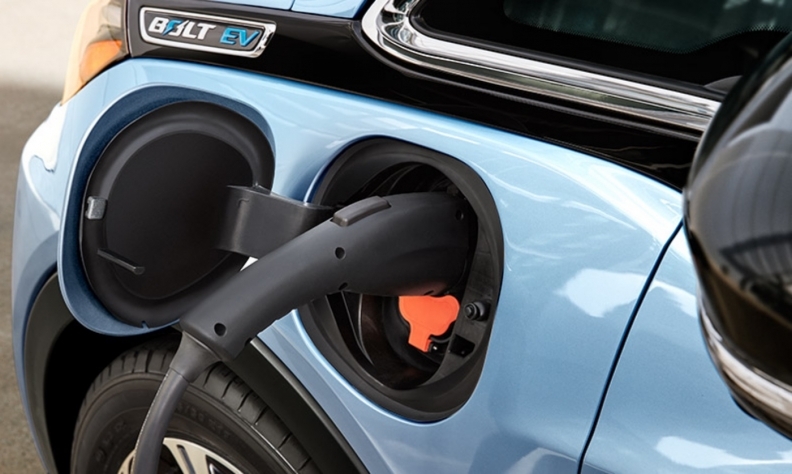 The Ontario Ministry of Transportation has pledged to address the concerns of those who continue to wait to receive government rebates on EV sales, a delay that applies both to dealers and to consumers, who have the option to apply for the credit directly. However, the details of a plan have yet to be confirmed. Consumers in Ontario are entitled to receive rebates of up to $14,000 on EV purchases. Dealers routinely discount the value of these rebates at point of sale and process the applications themselves as a value-added service to their customers. “We have always applied for the customer,” Budd said. “If the consumer is taking a lease, the credit is critical to capitalize the lease at the proper amount. Frank Notte, director of government relations for the Trillium Automobile Dealers Association, told Automotive News Canada that he met with government representatives and EV stakeholders in late October to discuss potential resolutions. “I think from that meeting they got the message loud and clear that this is a huge issue,” Notte said. “[EVIP representatives] have said that they’re going to move over to a new payment system and hopefully get the payments out much sooner. Bob Nichols, senior media liaison officer for the Ontario Ministry of Transportation, said that with more resources dedicated to the program, the province is now processing June rebate applications. “The Electric Vehicle Incentive Program has experienced significant uptake of over 100 per cent, which has impacted application processing and payment timelines,” he said. Pawlak said she was told that an online application system is coming and has stopped submitting paperwork, at an EVIP representative’s suggestion, until the new system is in place. She currently has eight applications that she has not submitted. “They already know the cars that come into the province that are electric cars. They get all the serial numbers from the manufacturers, so one would think all they have to do is match to make sure it’s a car that came into Ontario and the manufacturer legally brought it in and pay the credit. Including Ontario, three jurisdictions in Canada currently offer EV rebate incentives to consumers. In Quebec, dealers receive rebates directly from the province under the Transportation Electrification Action Plan within eight to 10 weeks. In British Columbia, applications are submitted by dealers to the province’s New Car Dealers Association, which processes them and reimburses the amount of the incentive via e-transfer within two to four weeks.